Is there a better alternative to MacMemoriesManager? 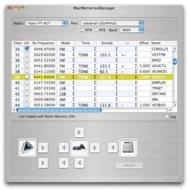 Is MacMemoriesManager really the best app in Applications category? Will MacMemoriesManager work good on macOS 10.13.4? Transfers radio memories to/from disk profile files. Yaesu FT-817, FT-857, FT-897 (May not work with radios modified for out-of-band). Version 3.6: Release notes were unavailable when this listing was updated. Mac OS X 10.3 or later, Serial Port/USB Serial Adapter and cable for Radio Interface. MacMemoriesManager needs a review. Be the first to review this app and get the discussion started! MacMemoriesManager needs a rating. Be the first to rate this app and get the discussion started! 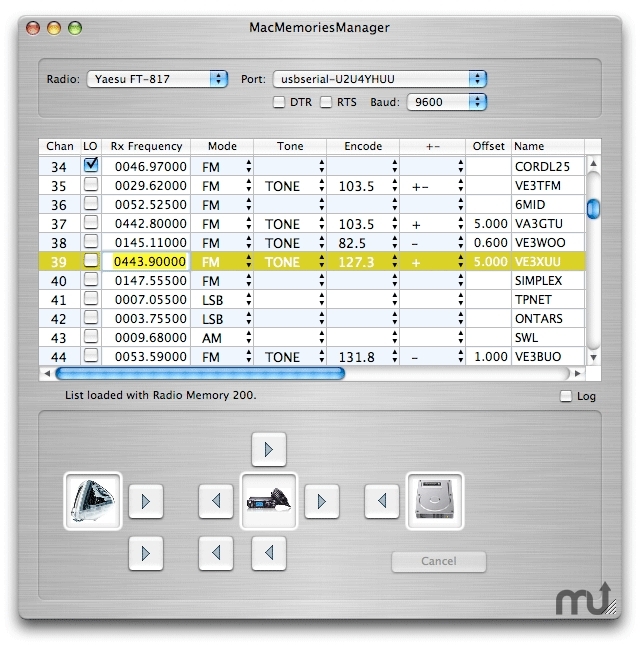 Radios with clone capability only and no individual memory access CAT commands are not currently supported.